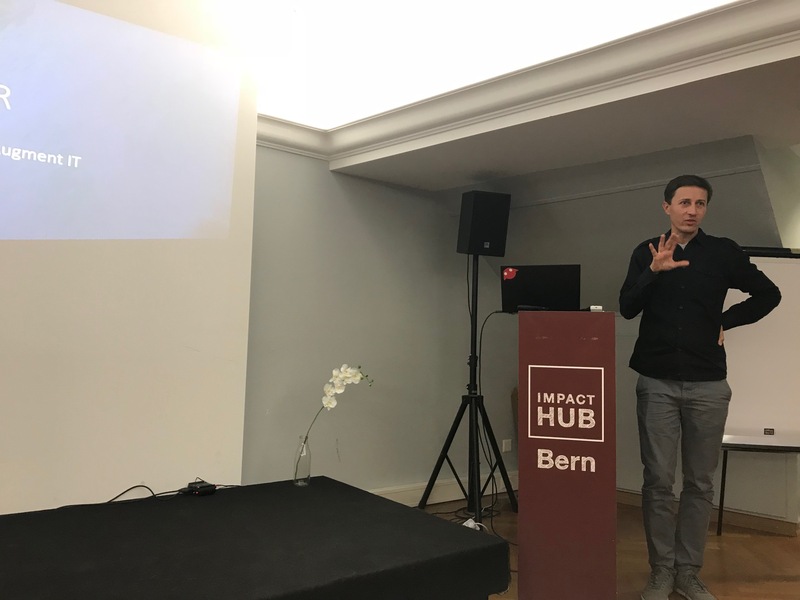 On November 6, Reto Grob presented our product Checklist AR at the event “XR meets Factory” in Bern. Checklist AR optimizes maintenance, quality assurance and fault detection. For maintenance work on technical equipment and complex products AR-Checklist opens new possibilities. The solution guides the service technician through a list of real physical checkpoints. The checklist displays useful additional information and illustrations at the right place and issues warnings in the event of incorrect or dangerous work steps. It is also possible to trigger actions, be it to record the condition digitally or to order a spare part. This makes the whole process faster, and even less qualified employees are able to perform these tasks.